When I saw Samson, it was love at first sight: a playful, adorable puppy with big feet, floppy ears, and soulful eyes. He was always chewing things up, and somehow he learned to turn on the garden hose, leading to our "summer of mud". He wanted to remain a mischievous puppy forever, but we worked hard on his training, and he matured. Samson loves swims and long walks. 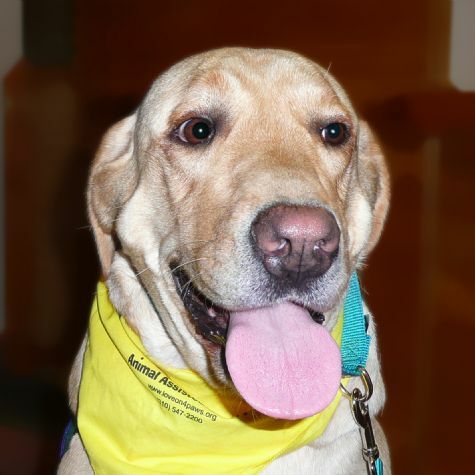 He has a friendly, gentle nature, and he's always excited to go to the hospital to help people feel better. He's my best friend.